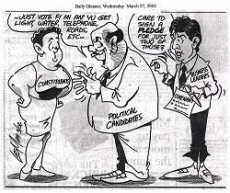 Some 14 years after Civic leader Joe Issa suggested that persons seeking political office should sign a pack with their constituents, pledging to implement two or three projects that are of priority to them within a specified time upon winning their seat in a general election, a St. Lucian politician is treading for the first time, where Jamaican politicians feared. Jeannine Compton-Antoine, daughter of Sir John Compton, former Prime Minister of Saint Lucia, has made public a pack reached between herself and the people of the constituency of Micoud North whom she is seeking to represent as an Independent candidate in this year’s general election. She represented the Micoud North constituency in the House of Assembly from 2007 to 2011. She won the seat for the United Workers Party (UWP) in a 2007 by-election. She resigned from the UWP in 2011 and continued to serve as an independent MP. She lost the seat in the 2011 general election to Dr. Gale Rigobert (UWP) who secured 42.23 percent of the votes, while she got 33.88 percent. While Compton-Antoine’s pack with her constituency details their various roles and responsibilities, it fell short of the main tenet of The Issa Initiative: candidates pledging the delivery of two or three things considered a priority by the constituents within a specified period of coming into office. Issa’s idea came ahead of the October 16, 2002 general election, as part of a move to engender accountability in governance. The idea, which became known as “The Issa Initiative” was supported by both the JLP and PNP, as well as the island’s Chambers of Commerce.